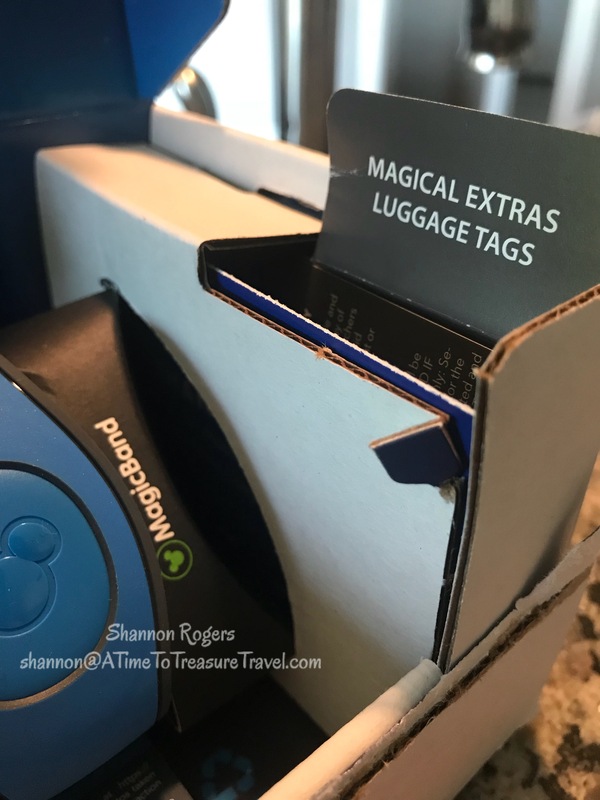 One perk of booking a Walt Disney World Resort vacation package is the Magical Extras, a savings card offering exclusive discounts all around Walt Disney World! 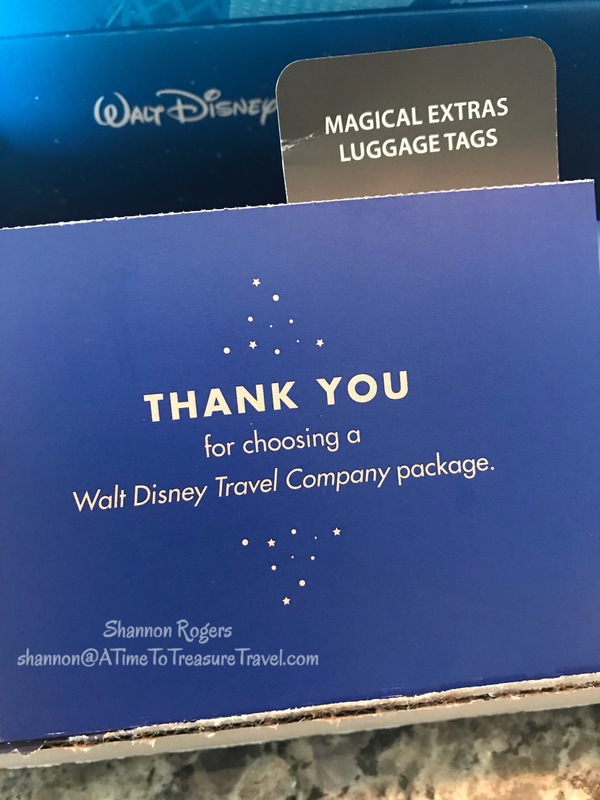 If you’ve booked a package (on-site room + tickets and/or dining plan), you’ll find this card tucked away inside your MagicBand box, so be sure you don’t overlook it! 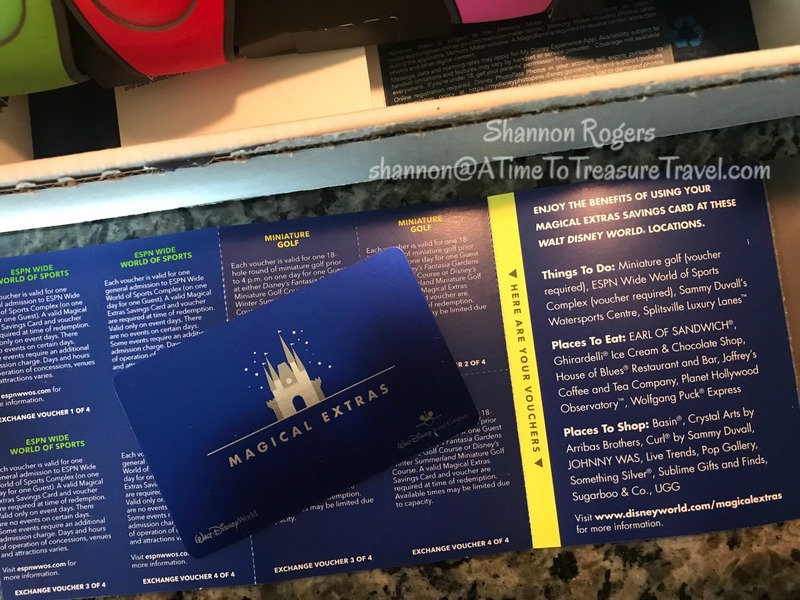 The 2018 Magical Extras card offers a variety of discounts on dining, entertainment, and shopping locations found throughout the Walt Disney World Resort: Earl of Sandwich, Joffrey’s Coffee and Tea Company, and House of Blues, just to name a few! Even a complimentary 18-hole round of miniature golf at either Disney’s Fantasia Gardens Miniature Golf Course or Disney’s Winter Summerland Miniature Golf Course is included! You can visit this link — Magical Extras — to get all the current information on this exclusive benefit to your Walt Disney World vacation package! QUESTIONS? Contact your favorite ATtTT agent!